Archduchess of Austria and queen of Hungary and Bohemia (1740–80), Maria Theresa succeeded to the Habsburg domain and the title of Holy Roman empress in 1740. 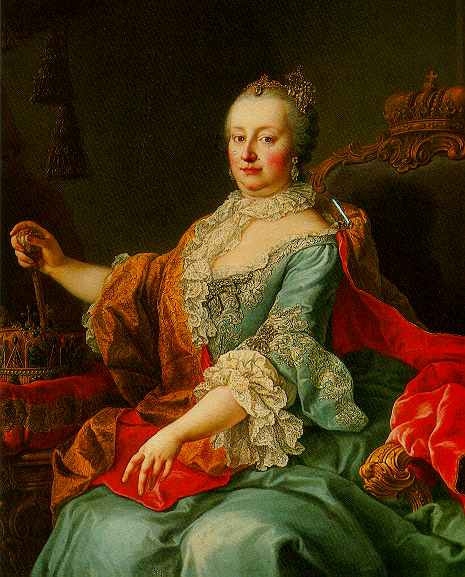 The early years of her rule were marked by war with Prussia (1740–48), which contested her claims to the Habsburg territories, but in the end she preserved the bulk of her inheritance. She and her husband, Francis Stephen, ruled jointly until his death in 1765, at which point she became supreme sovereign. The couple had sixteen children, ten of whom survived to adulthood. Although not an advocate of Enlightenment ideals, many of Maria Theresa’s domestic policies paved the way for a new age. She centralized government administration, curbed the power of the church in secular affairs, modernized the university system through which she introduced a rudimentary public health service, established a type of poor law and limited the use of forced labor, reformed the legal system, and laid the foundations for compulsory primary education.